The country’s first air ambulance is one step closer to having a new home after planning permission for a new operations facility was granted. 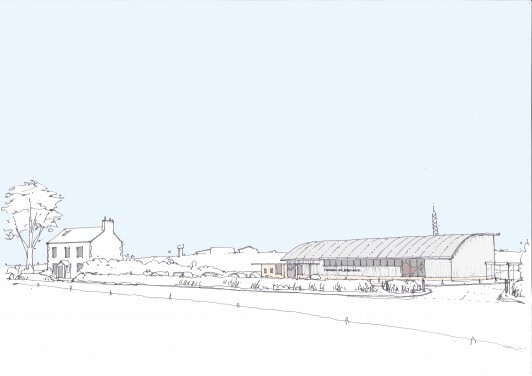 Cornwall Air Ambulance Trust (CAAT) has been given the go ahead by Cornwall Council to build its new base on the periphery of Newquay Airport after councilors unanimously backed the scheme. The charity team is now working closely with a number of agencies and grant funders to ensure that the dream becomes a reality. It is hoped that an announcement will be made soon on funding allowing a principal contractor to be appointed for the new ‘home for the helicopter’ early in the new year. CAAT’s chief executive, Paula Martin, said: “We’re really pleased to have been awarded planning permission by Cornwall Council. “Our architects Chapman Workhouse worked very hard on the design of the building. The new environmental friendly building will include accommodation for the paramedic aircrew and pilot, together with medical stores and specialised clinical cleaning rooms. The hangar will include a workshop area for the engineers responsible for keeping the air ambulance helicopter fully operational. At the same time the fundraising team will move from its present offices near Roche to occupy the same building, bringing everyone involved in the charity together for the first time.